Seems a little strange. Not sure if the plugin would be the issue. I would make sure your region is set properly. 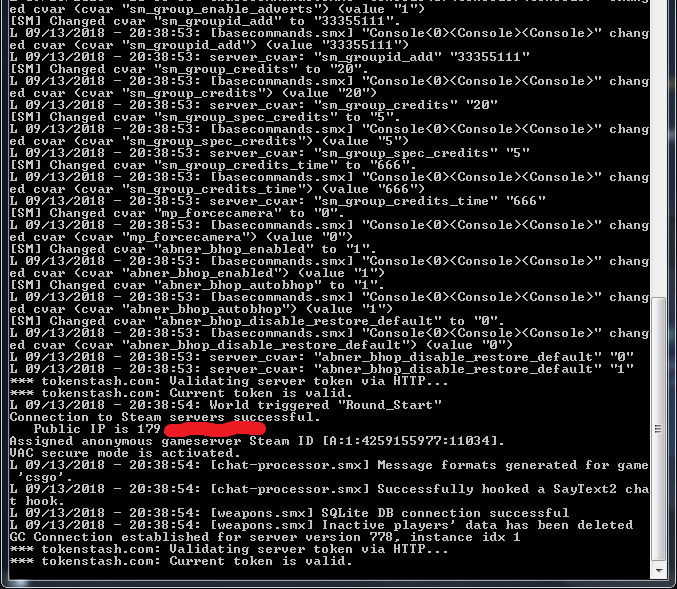 Man, you don't help telling me that, I have that commands in server.cfg and nothing works, it doesn't appear. It is the plugin. What do you mean about "region set properly"? I have the sv_region in 2 (because i'm from Uruguay). It doesn't show in the Internet list. OK, I literally change the sv_region setting from 0 to 7, even for 255, it's still on LAN (also, I can add my public IP to Favorites and it shows the server but, yeah, it doesn't appears in Internet list). Obviusly if I uninstall the TS Auto Updater it will show the server in the Internet. 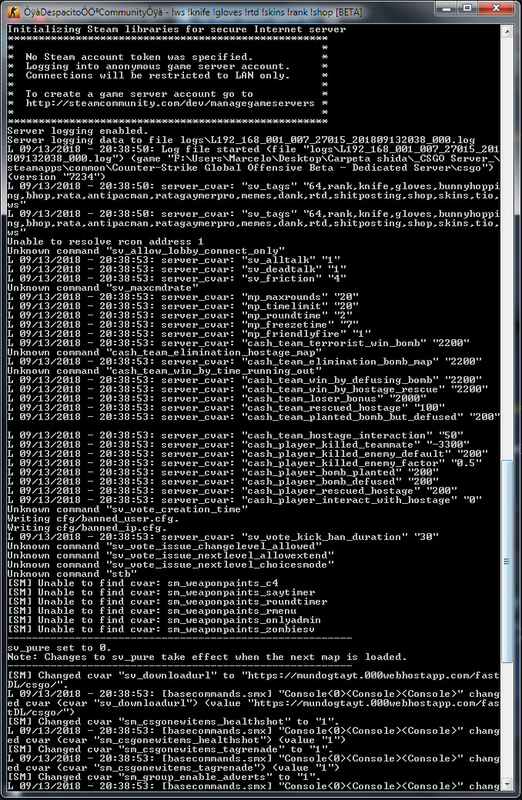 Also, here you have two screenshots of my console. Last edited by ElTioRata; 14-09-2018 at 09:46 AM.